Now I don't know about you, but I like my surgeons to be fully trained, and, preferably, not be the same person charged with making my hair look good. But forget med school, it seems all you needed to perform surgical procedures in the middle ages right through to early modern Europe was a pair of sharp scissors. 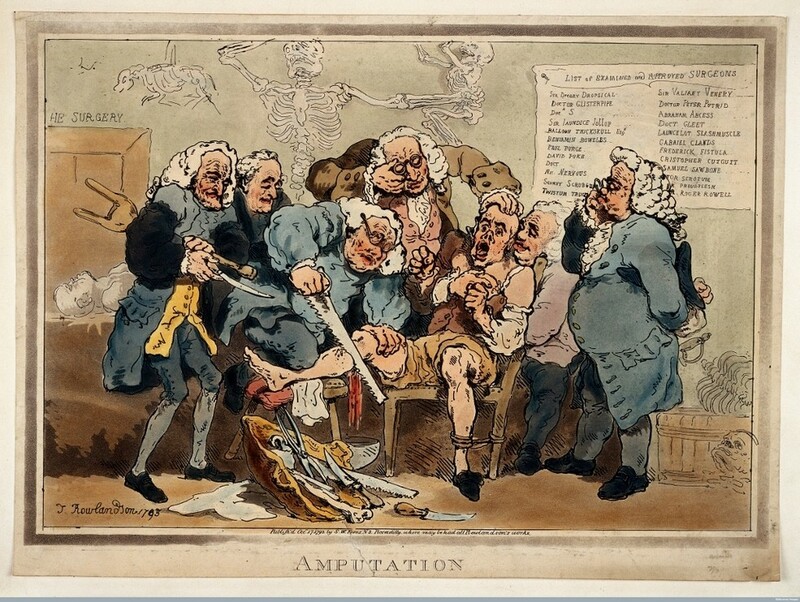 Barbers were charged with the procedures physicians thought too grisly or demeaning, including amputations, blood-letting and enemas, all before the invention of general anaesthetic. 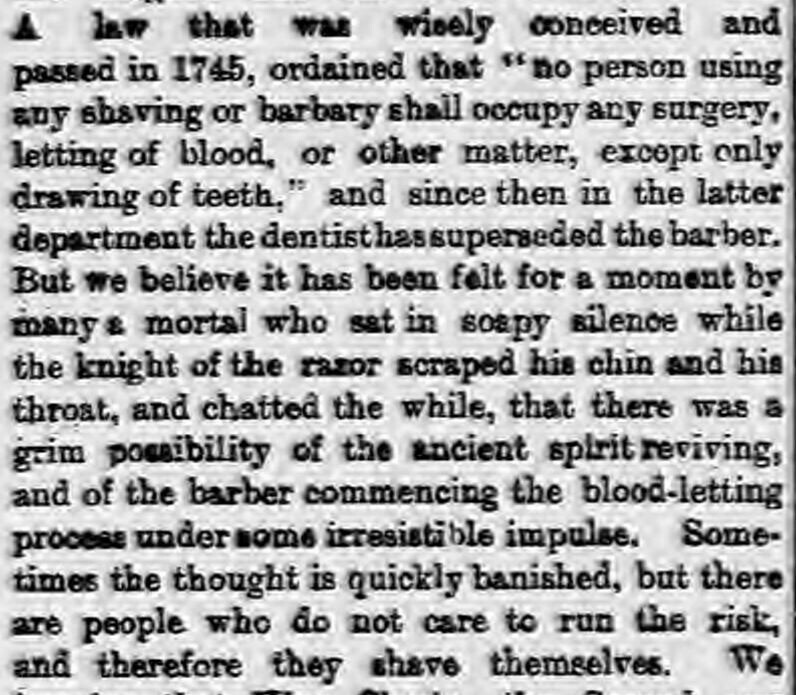 In order to drown out the screams, barber surgeons would often employ storytellers or bagpipe players to perform in their establishment, which I would've thought would be enough to drive anyone to hysteria before the treatment had even started. The red white and blue striped poles outside barber shops are alleged to go back to the days of barber surgeons, with red representing blood, blue the veins, and white the bandages that bound the wounds. So the next time you're dreading an imminent trip to the barber, just fix your eyes on that tricoloured beacon and remember... it could be oh so much worse.